Shaduf (Shadoof-Shadouf or Well Sweep) was originally developed in Ancient Egypt and has been around­ since c2000 BC. It can still be seen but only in a few places. 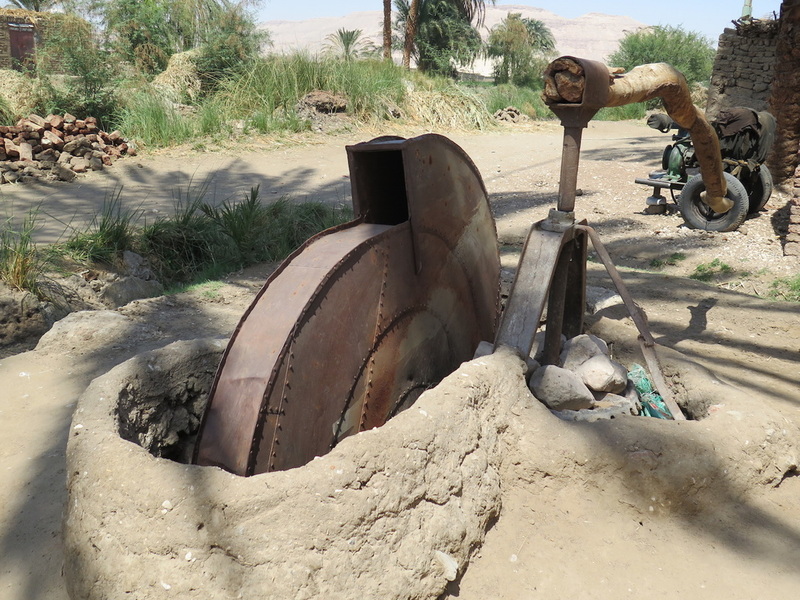 I have been lucky enough to see two here on the West bank and one of them working. Also known as - Denkli, Paecottah, Shadow and Swape. 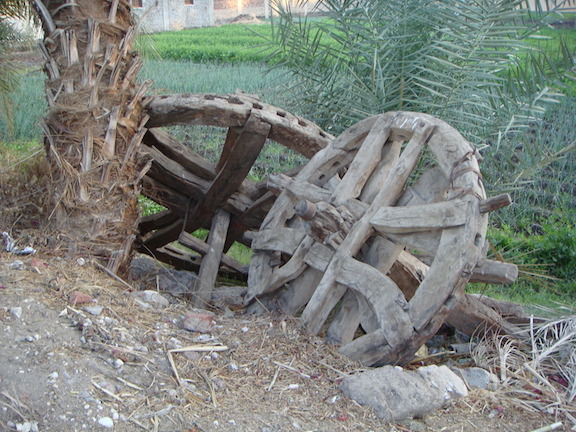 The Shaduf is man powered and because of its construction and balance, is an effortless operation. 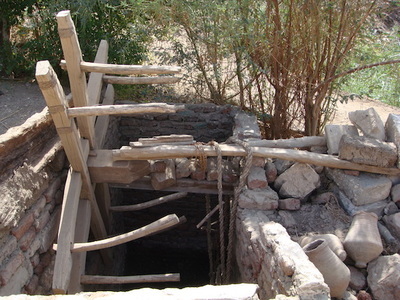 The bucket can be made of Skin Bag, Bitumen or Reed, it has a counter balance usually made from Mud. From an easy swing and lift motion, water can be drawn from one place and dropped to another. This enabled irrigation for higher grounds when the Nile is low. 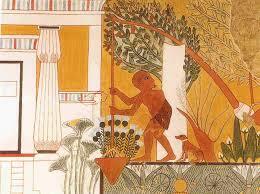 Sakia (Saqiya) c500 BC. Invented by the Persians. 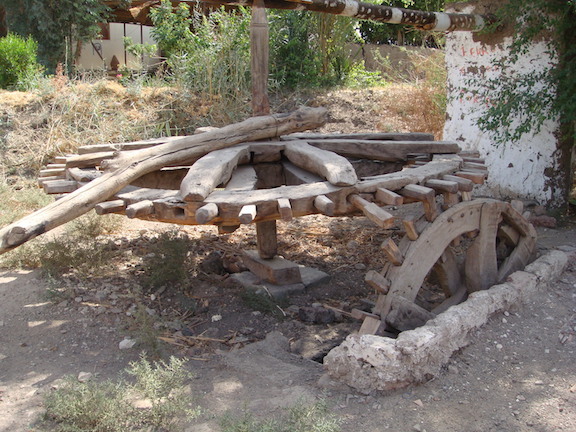 In ancient times the wooden wheel would have had clay pots on it to collect the water and in more modern times, would have been a wheel made of metal with built in cup sockets. These would have been powered by man and then Oxon or Buffalo. 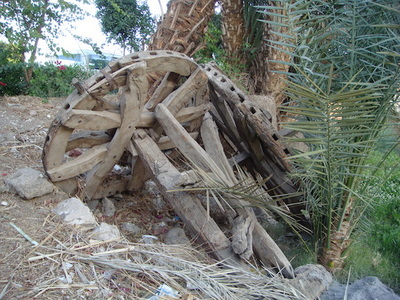 The Sakia is similar to the Noria except man or animals rather than the flow of a river current powers it. Diesel Pumps. 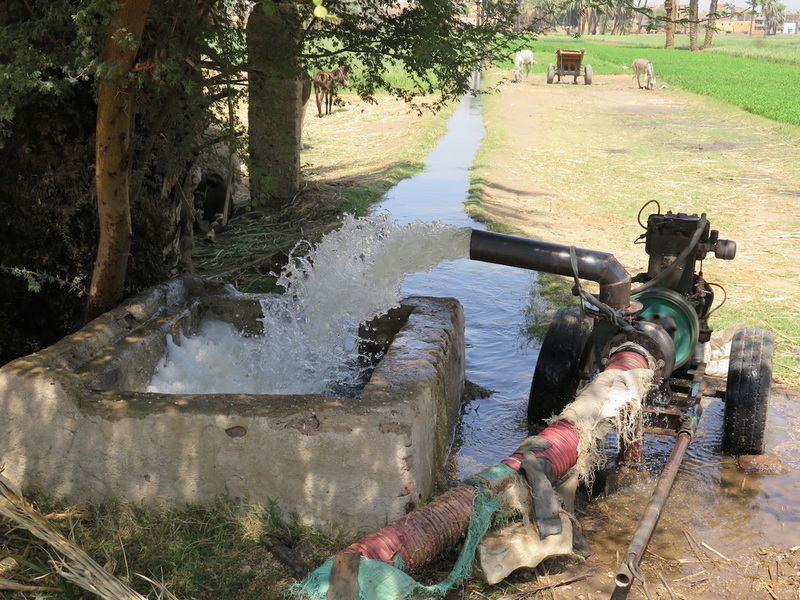 These are now the most modern type of irrigation water delivery systems used today and can be seen everywhere. 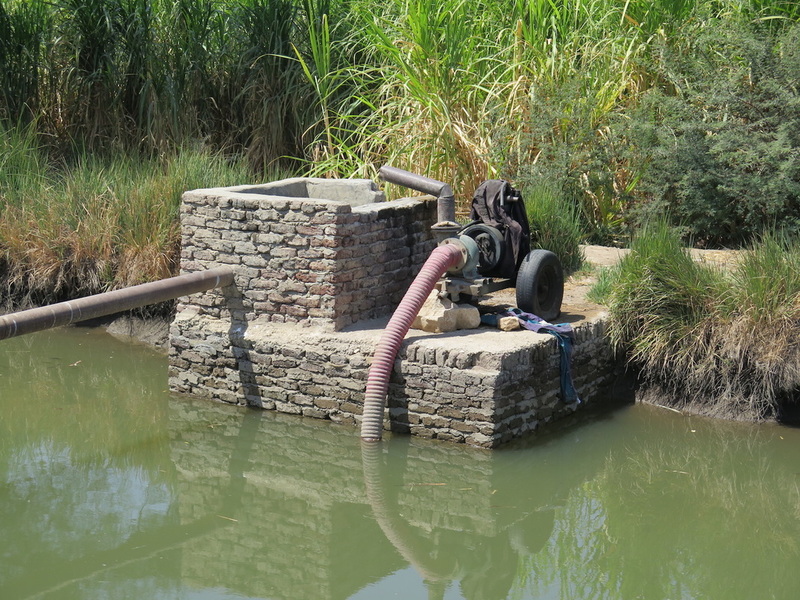 They can vary from a single diesel pump, to a Pump House or a Pump Station, depending on the size of land being irrigated. On certain stretches of canal-side roads, you can see dozens and dozens of diesel pumps all delivering water to individual areas. 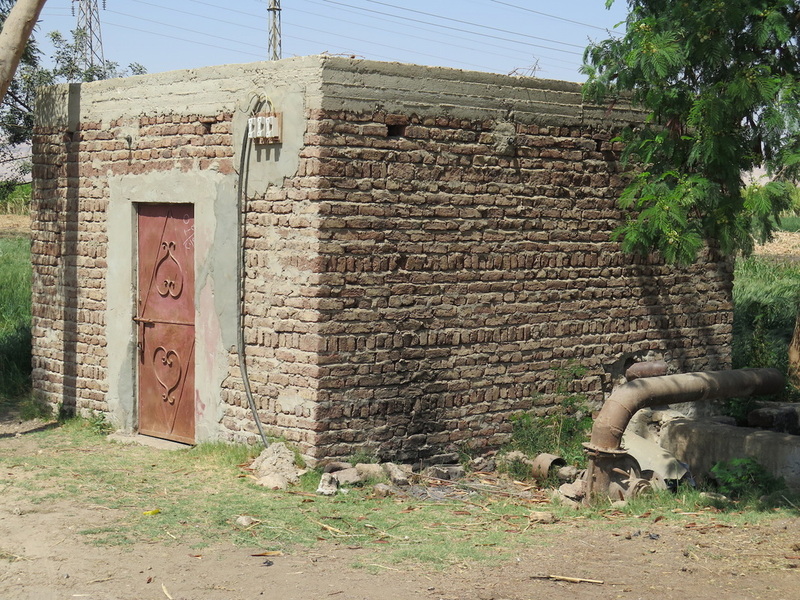 Pump Houses. These are commonly seen along the canals and are more of a permanent fixture. 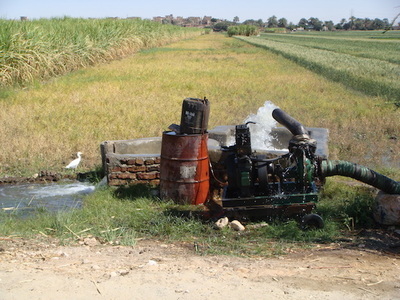 Electric Pumps. 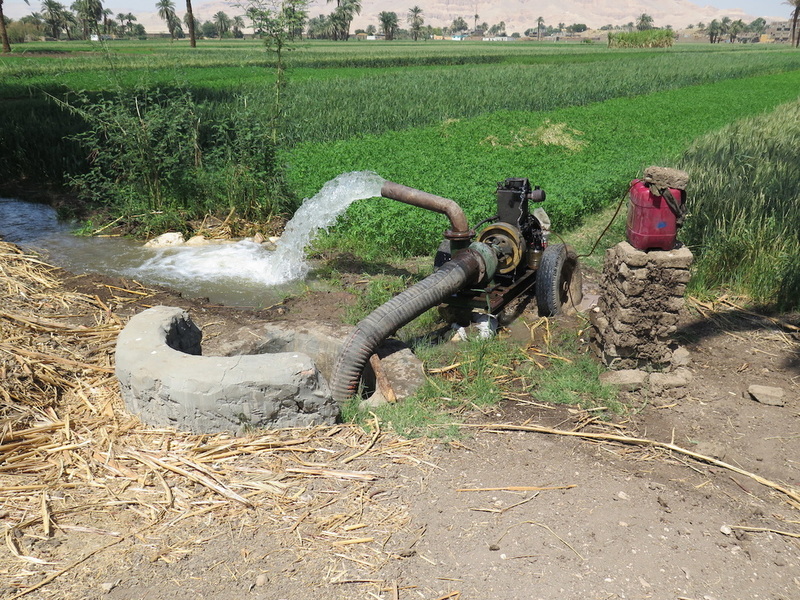 Some farmers now use electric pumps to take water from the Nile onto farmland. 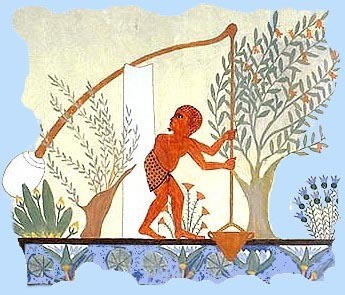 Crops grown along the Nile and fish caught in the rivers and Canals provide food for the people of Egypt. With a growing population there is an increasing pressure on these resources. Everyone somehow, has benefited from these methods from Old to new.